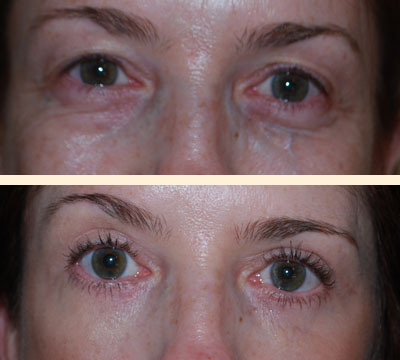 Lower transconjuctival (incision on the inside of the eyelid) and skin pinch blepharoplasty. Excess skin and fat removed. Eyelid area appears more awake, well rested, and youthful.